The California Roots Music and Arts Festival is a three-day event packed with live music, fantastic food, refreshing beverages, creative artwork and sustainable practices. Reggae acts from around the globe culminate at the Monterey County Fair and Event Center for good vibes during the Memorial Day weekend. Over 45 bands and musicians perform on three stages throughout the fairground’s 20 acres. Major acts in 2019 include Ben Harper, Rebelution, UB40, Stick Figure, Dirty Heads, Pepper and many more! For a full line-up click here. Three-day passes are $220 in advance. For tickets visit the official California Roots Music and Art Festival ticketing website. 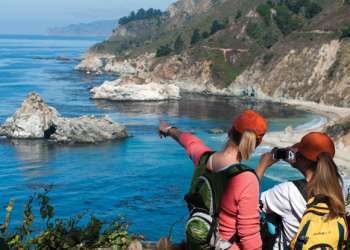 Several hotels, motels, and bed and breakfasts of Monterey and Seaside are all within a short walk or drive of the Monterey County Fairgrounds. Various campgrounds and campsites are also available within a short distance to the venue.